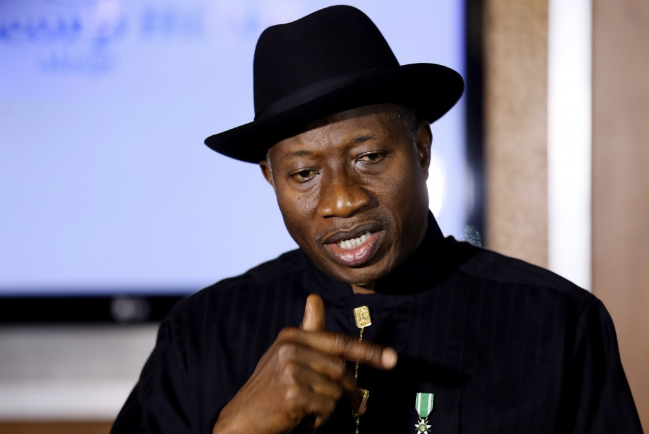 Jonathan denies receiving $200m from Malabu deal, calls report fake – Royal Times of Nigeria. Former President Goodluck Jonathan says reports that he received $200m from the $1.3bn Malabu oil deal are false. Jonathan said this on Tuesday in a statement by his Media Adviser, Ikechukwu Eze, while reacting to a story published by Buzzfeed as false. He said the report was sponsored by those who were threatened by his rising profile in the international community. The former President said; “It is one more in the series of fake news sponsored by those threatened by Dr. Jonathan’s continuously rising profile in the international community. “The man quoted by the report said he ‘assumed’ that Dr. Jonathan would be bribed, the report relied on hearsay evidence from a man, who provided no substance to back up his false claim”. “In the first place, the former President couldn’t have been a ‘tutor’ to Etete’s children without first establishing a contact with the family. This is because Jonathan met Etete, who served as the Petroleum Minister in Gen. (Sani) Abacha’s military regime for the first time under the succeeding civilian administration, when he was already the deputy governor of Bayelsa State. Even then, the fact remains that ex-President Jonathan has never met any of Etete’s children. “It is instructive that this same old fable apparently intended to rubbish Jonathan’s name locally and internationally is being recycled with more lies added to garnish the narrative, at a time the ex-President is making efforts to resolve the issues in the Peoples Democratic Party.